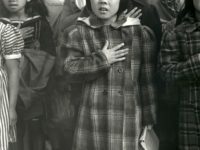 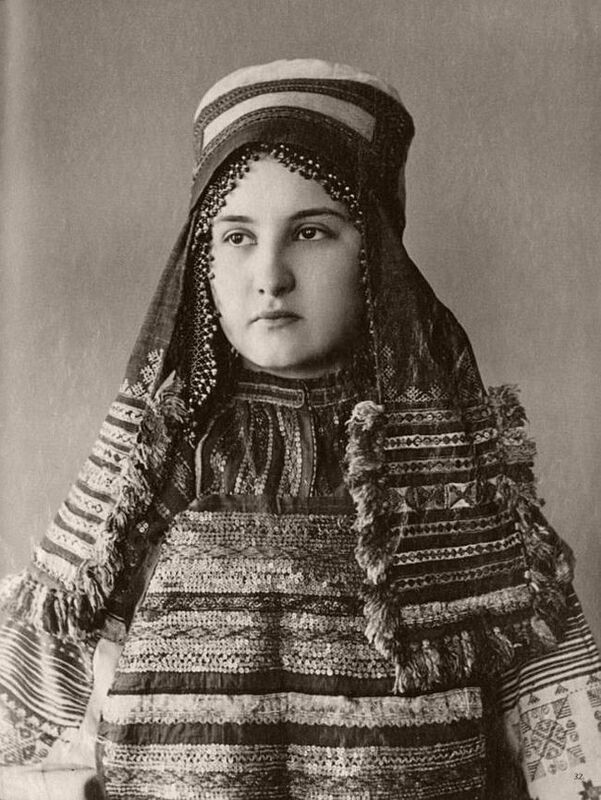 These photos were taken in the end of 19th century and now are kept in the collection of the Russian Museum of Ethnography. 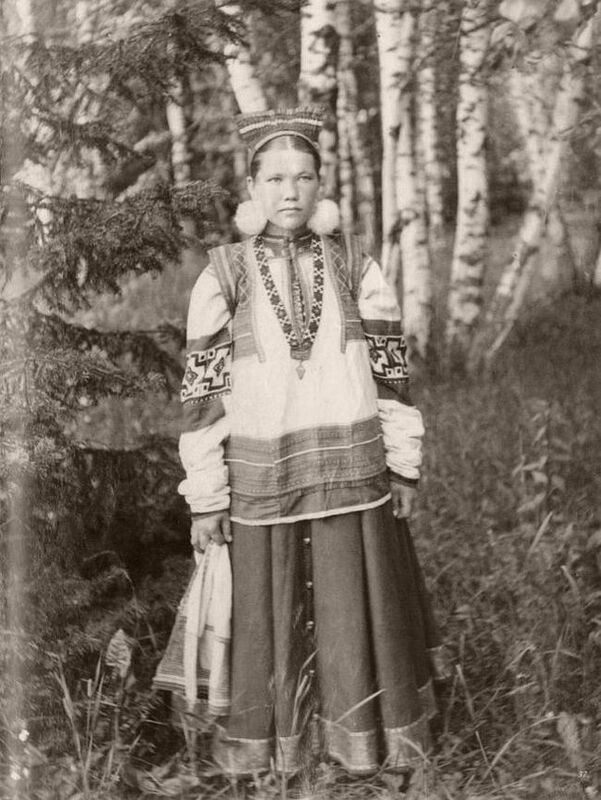 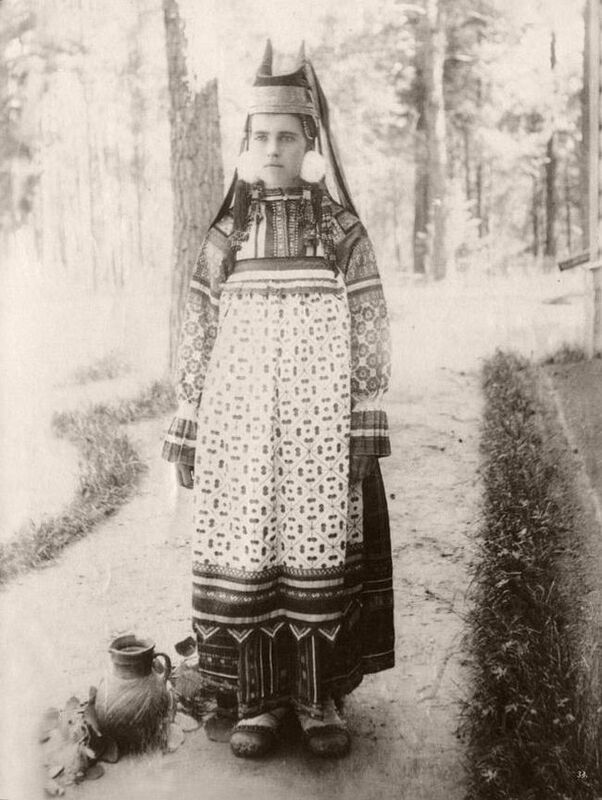 The women in the photos are wearing traditional costumes of different regions of Russia. 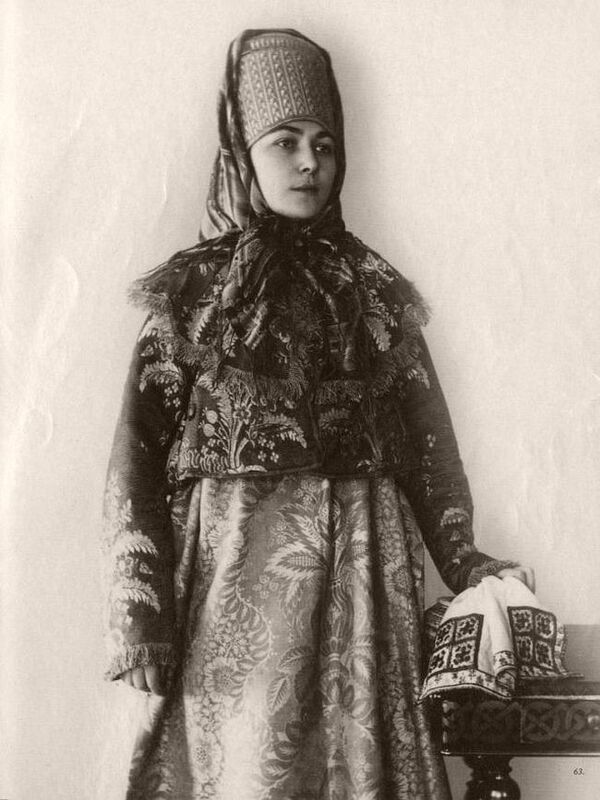 And though you can see many regional differences in the outfits there are two similar basic elements – sarafan and kokoshnik. 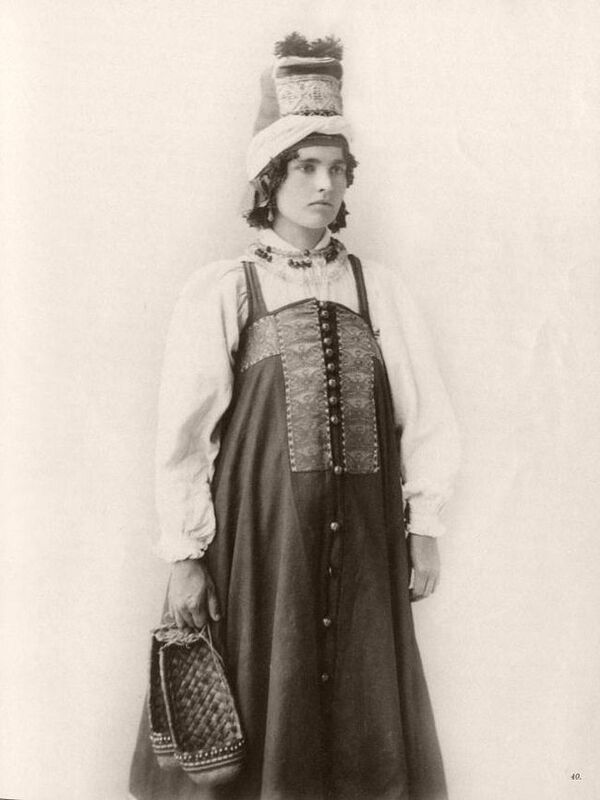 Sarafan is a sleeveless, high-waisted dress either cut on the bias or gored to give fullness at the hem. 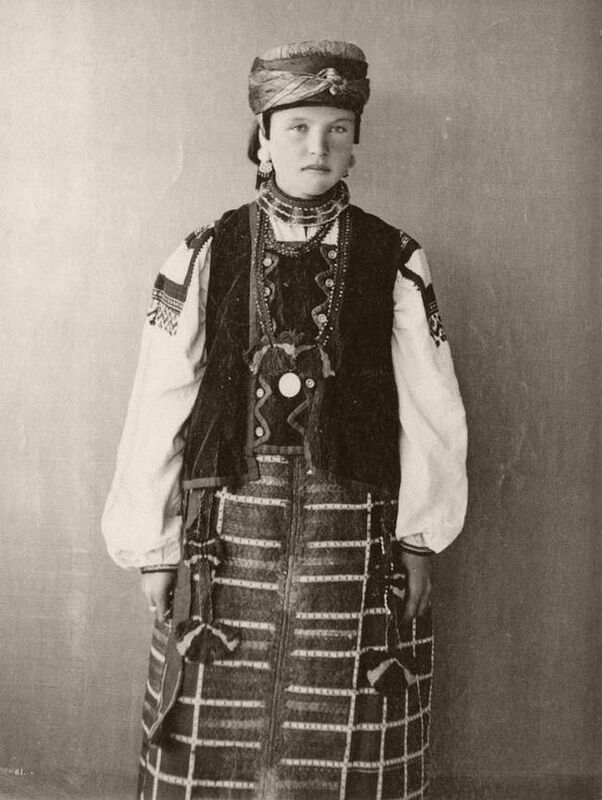 A chemise is needed to be worn underneath. 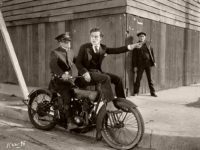 Sometimes there is an opening down the front, with buttons. 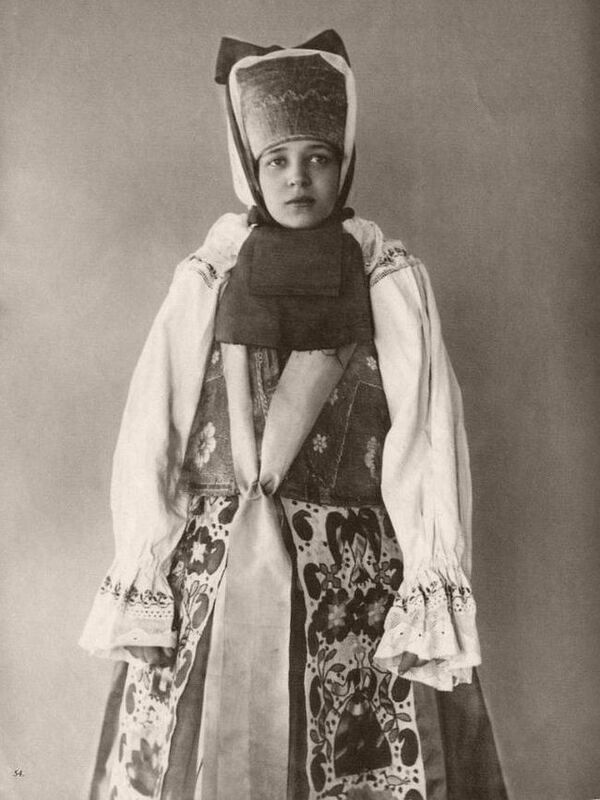 The sarafan could be very rich looking, trimmed with lace, ribbon or gold braid, or very homemade looking. 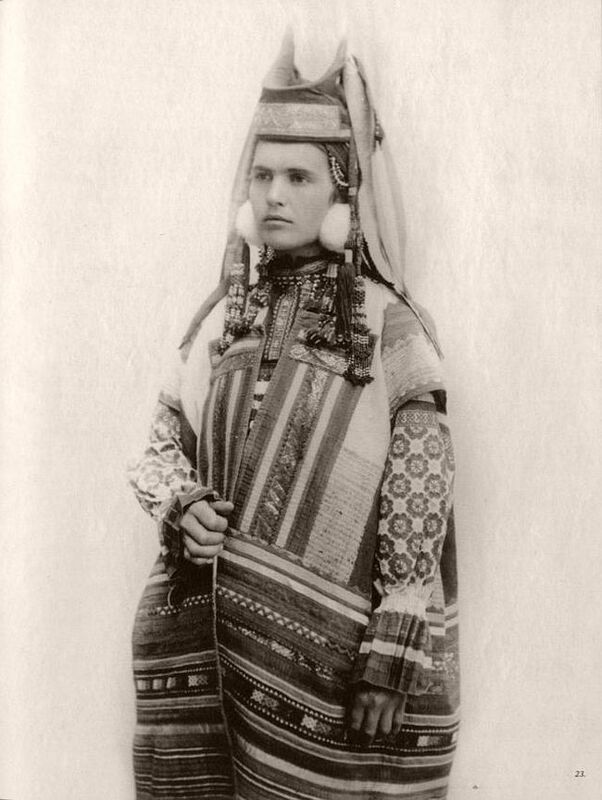 Over the sarafan a short jacket could be worn, gored and gathered at the back, and also an embroidered apron. 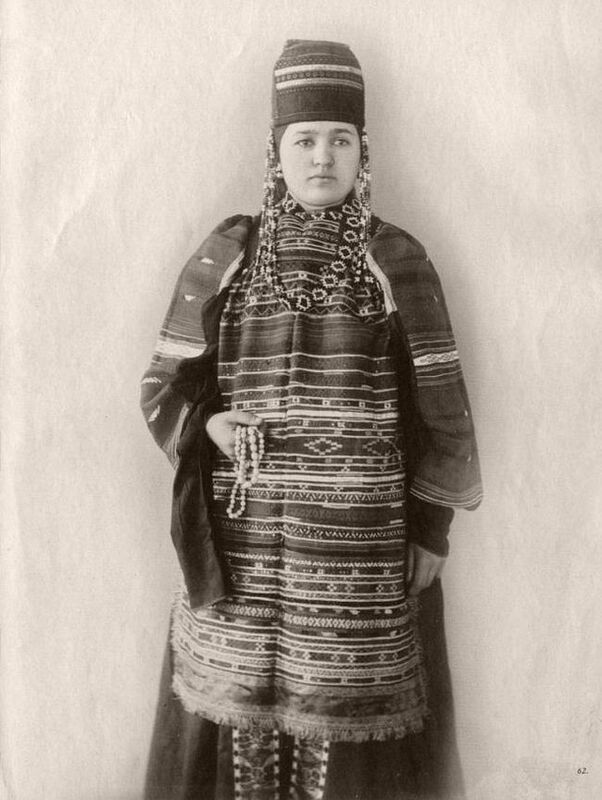 Sometimes the sarafan was worn with a belt. 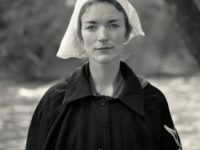 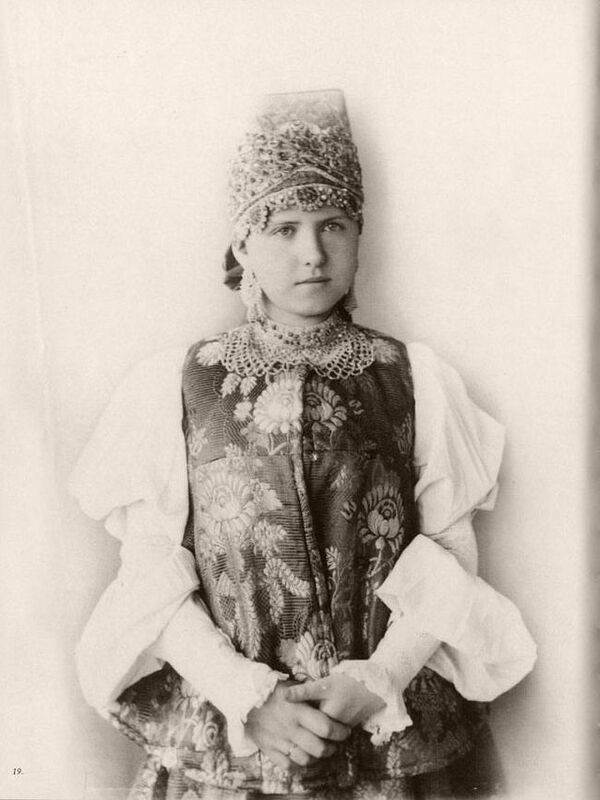 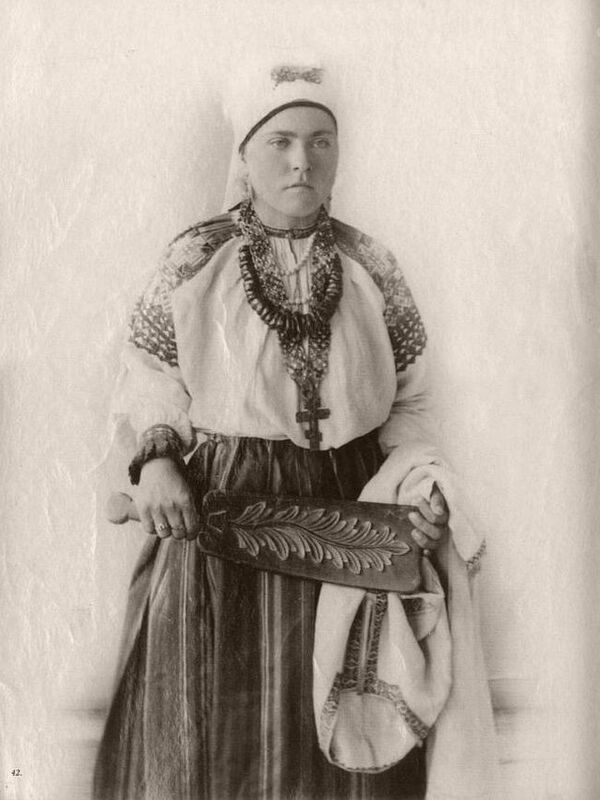 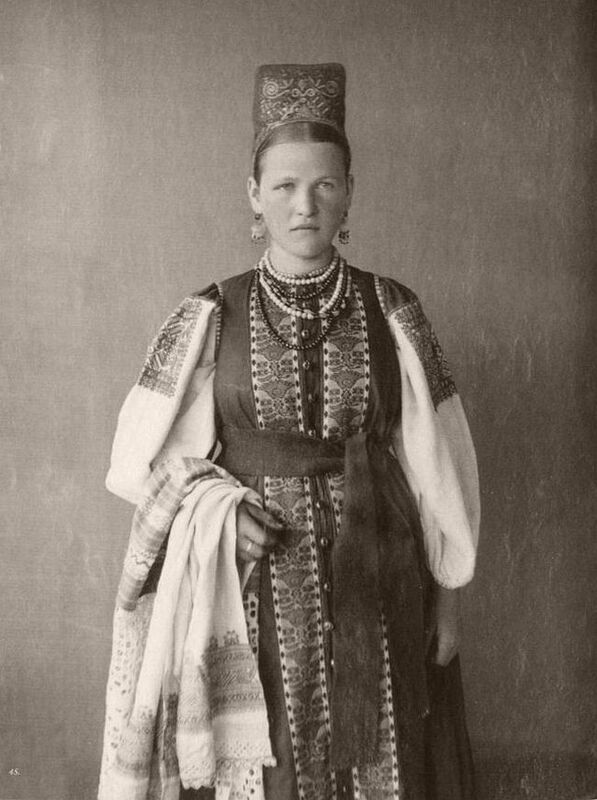 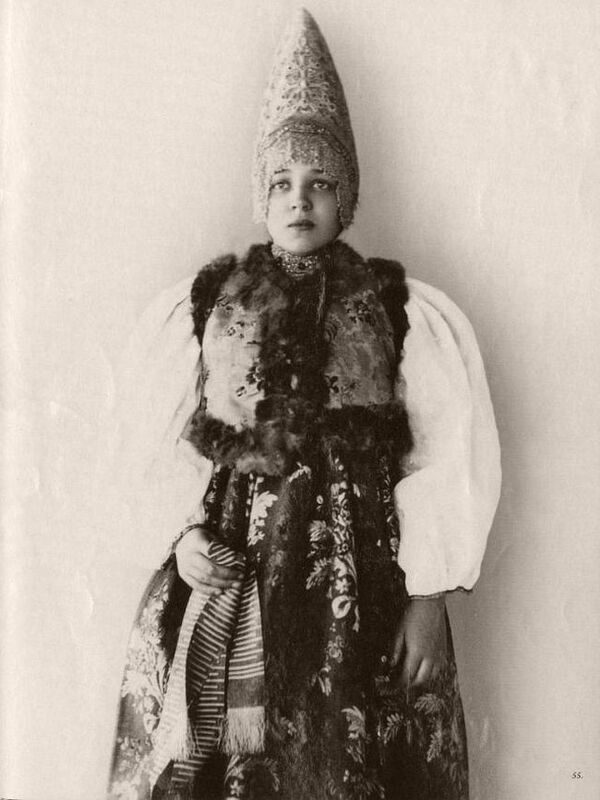 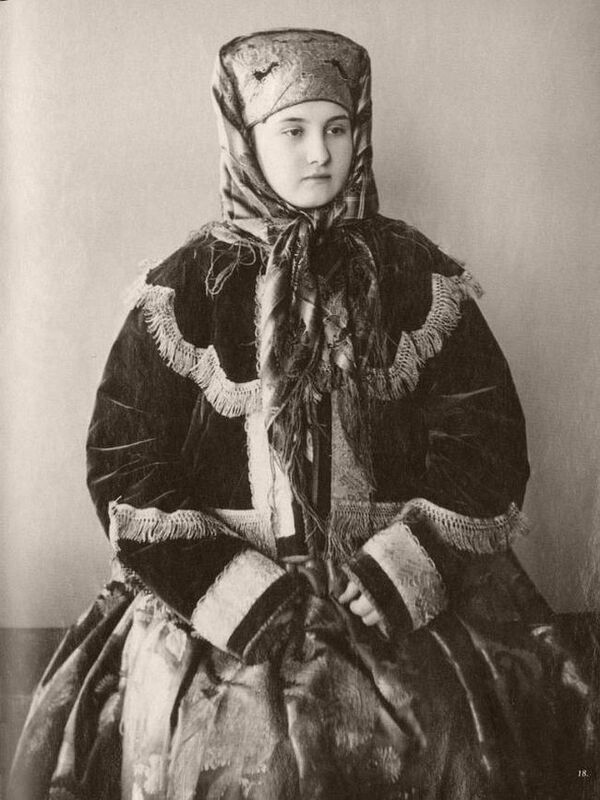 A kokoshnik is a headdress worn by married women, though maidens wore a headdress very similar to a kokoshnik, but open in the back, named a “povyazka”. 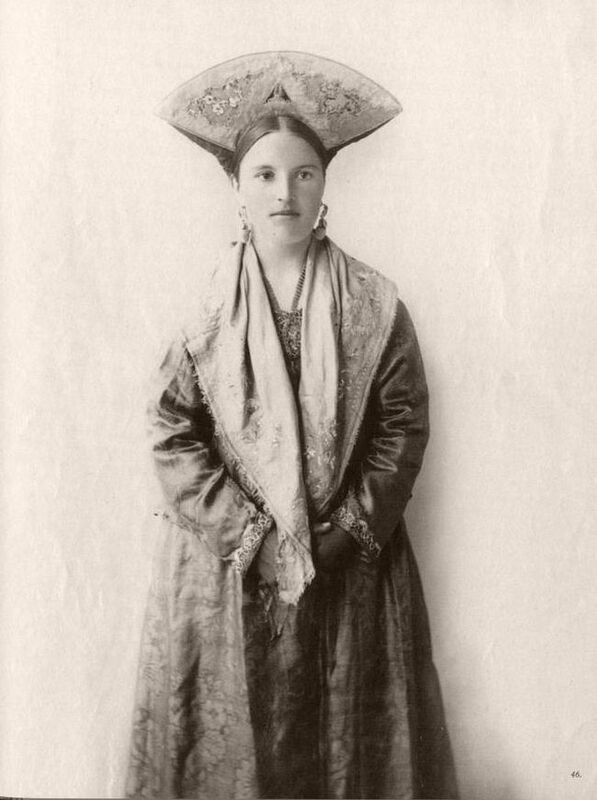 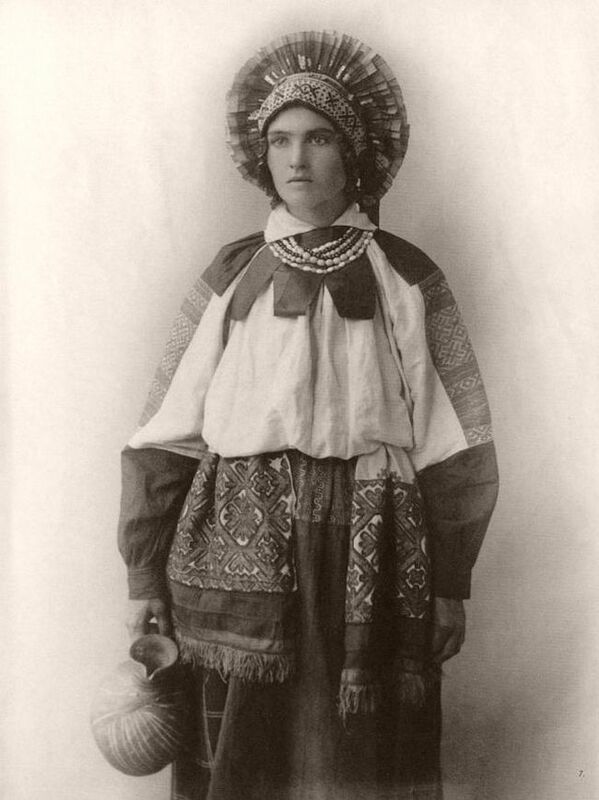 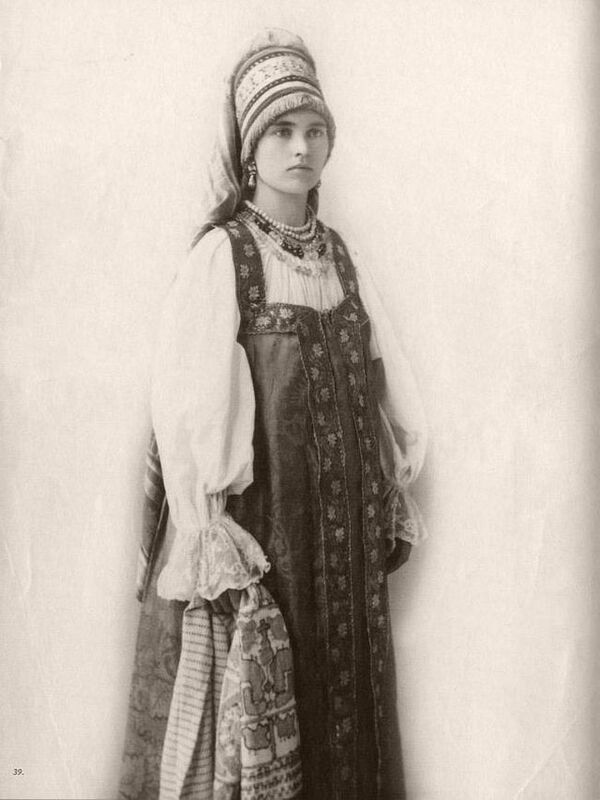 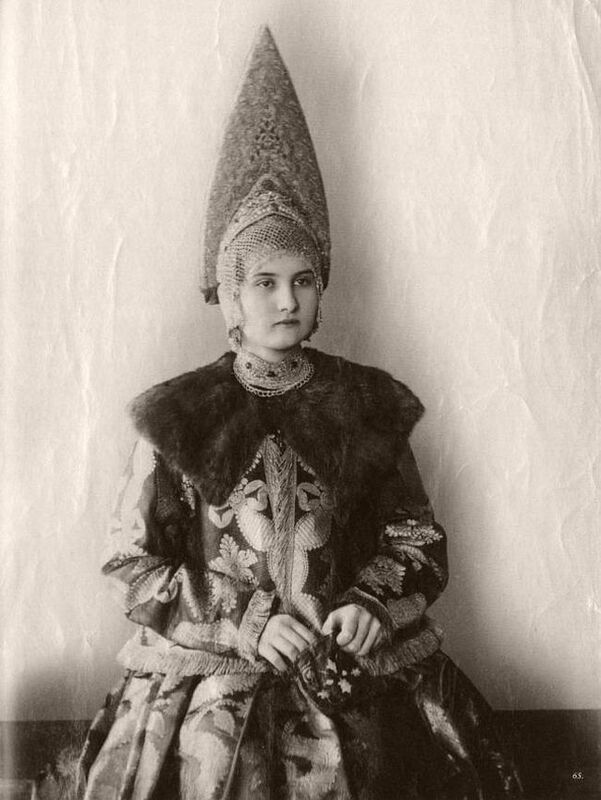 The word “kokoshnik” describes a great variety of headdresses worn throughout Russia, including the cylindrical hats , two pointed nimbus “kika”, triangular shaped “kika”, small pearl hats etc. 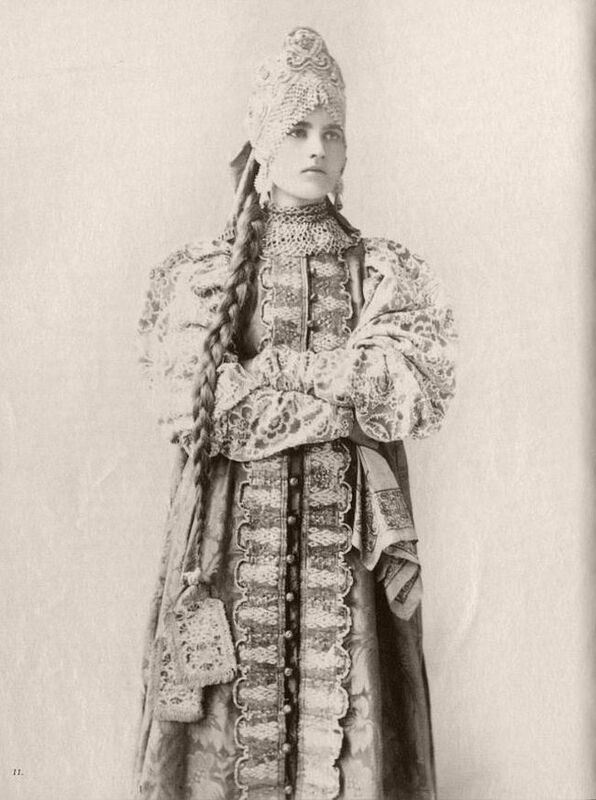 The kokoshniks could be quite extravagant, even if they were worn by farmer’s wives, and were composed of gold brocade, damask, or velvet, with gold embroidery usually of plant and flower motifs. 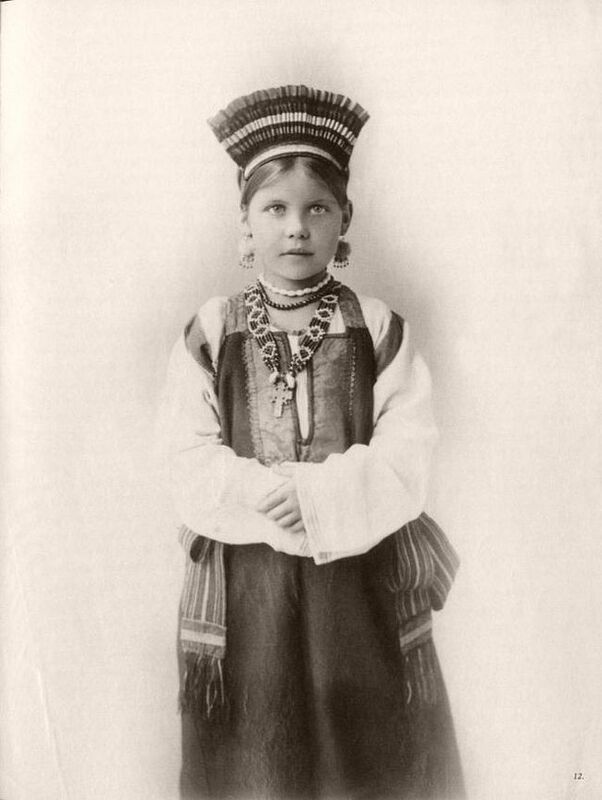 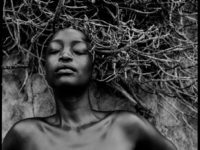 Sometimes they were set with real pearls and precious stones.